The knee is a complex hinge joint. 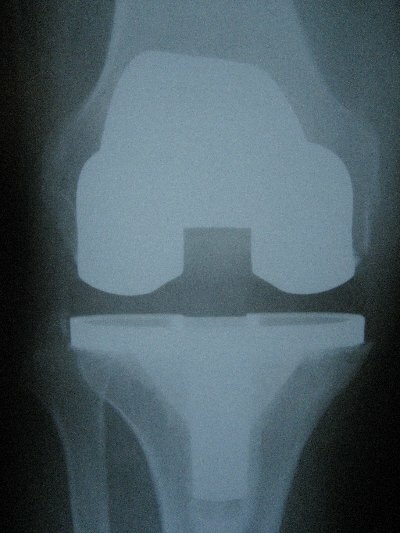 A knee replacement becomes necessary once all medical treatments have been exhausted. The diseased knee joint becomes so badly damaged that, in spite of painkillers, it causes significant pain which interferes with your quality of life. The purpose of surgery is to relieve pain and therefore improve function and quality of life. 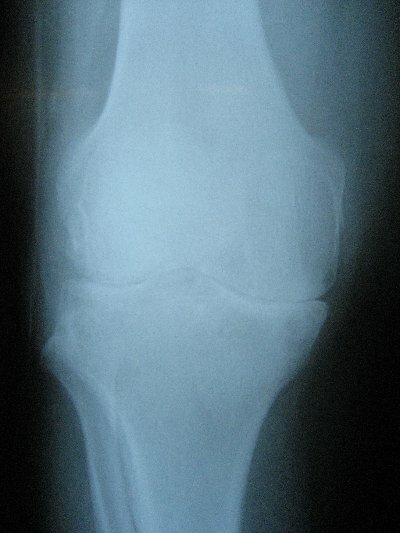 Knee replacement is normally considered when the joint cartilage is worn down to bone. Thousands are performed each year and long term results are comparable to total hip replacement. Surgery either takes place under a general anaesthetic or with an anaesthetic injection in the back (spinal anaesthetic) with or without sedation. The operation usually takes between one and one and a half hours. It usually involves resurfacing the end of the femur (thigh bone) and top of the tibia (shin) with cemented metal components and putting a plastic bearing in between, which may be fixed or mobile. I always replace the backside of the patella (kneecap) with a plastic ‘button’. The type of knee replacement performed (fixed or mobile bearing) will depend upon many aspects, such as your age, job, hobbies, level of function and general medical health. My knee replacement of choice is the Zimmer Nexgen replacement, which has an excellent track record. This can be fixed bearing or mobile bearing. Hospital stay is between 2 and 3 days and it usually takes 3 months to get over the procedure and return to normal activities, although this is variable upon individual circumstances. Rehabilitation can start on the first day of surgery. The physiotherapist will advise you when to do this and will provide you with a programme of activities to perform in hospital and when you go home.